Governor Cuomo and Long Island Senators: No Tax Cap - No Deal! 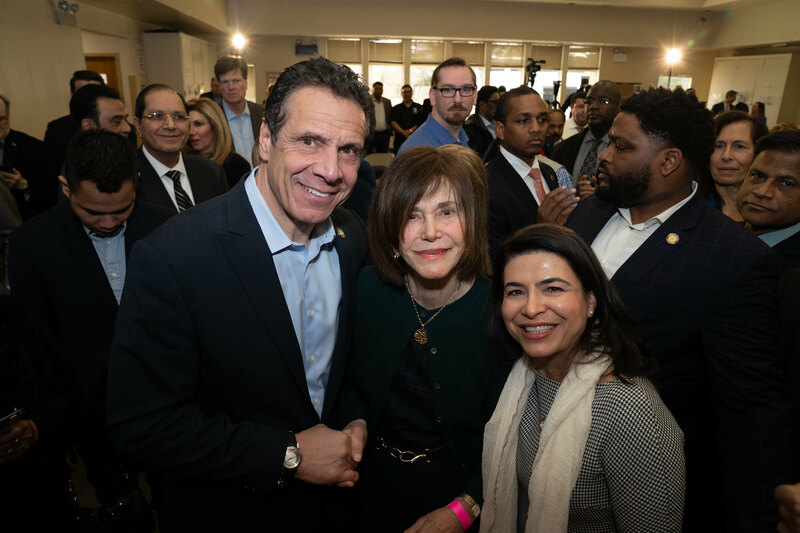 Governor Andrew M. Cuomo was joined today by the full delegation of Long Island Senators for a rally at Clinton G. Martin Park in New Hyde Park in support of the Governor's campaign to make the 2% property tax cap permanent. Earlier this month, the Governor vowed that he will not sign a budget without the permanent property tax included while outlining his remaining budget priorities. In 2011, Governor Cuomo vowed to bring property taxes under control once and for all. After years of trying to cap property taxes, New York passed the first ever 2% property tax cap. Since the implementation of the tax cap in 2012, local property tax growth has averaged 1.9%, compared to 5.3% average growth from 2000 to 2010, and the tax cap has produced approximately $8.7 billion in taxpayer savings on Long Island and $24.4 billion statewide. The property tax cap haschanged long-term trends and the trajectory of the state. Washington's tax plan took care of the rich, but cast the burden on states like New York and did nothing for the middle class.